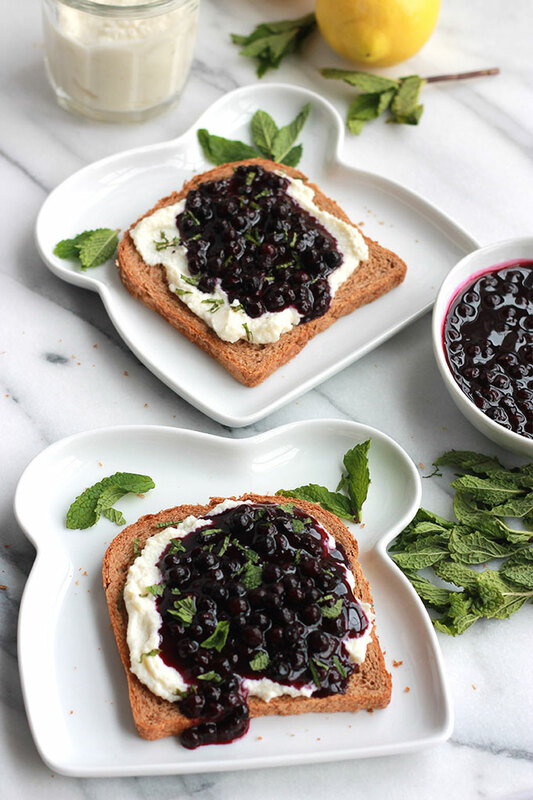 Lightly sweetened creamy lemon ricotta on toast topped with sweet juicy wild blueberry sauce, sprinkled with mint. Sumptuosity on a plate. Well I’ve got one for you. No fancy ingredients required. So if you are ready to spread your toast with something a little more exciting than butter or jam, this post is for you. 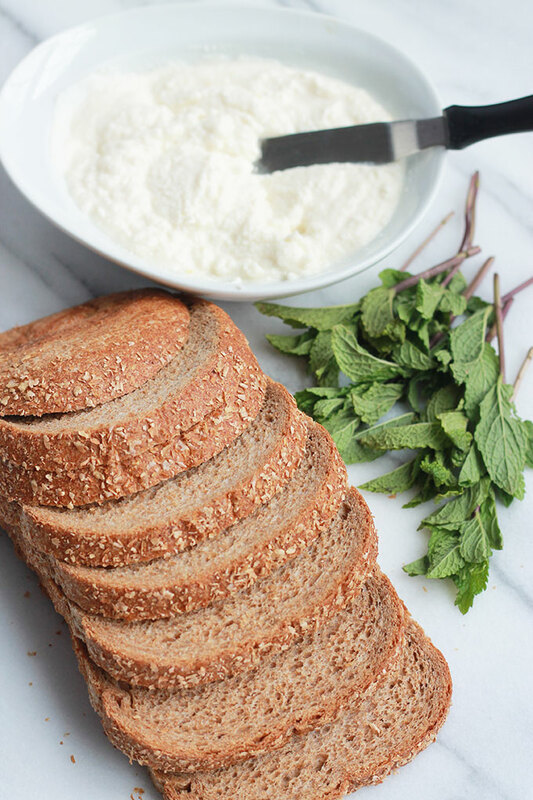 I have to admit when I think of ricotta I usually think of pasta dishes like lasagna or manicotti but recently I’ve started using ricotta on toast. I know avocado is a popular toast topper and I love it, but ricotta is a nice change. 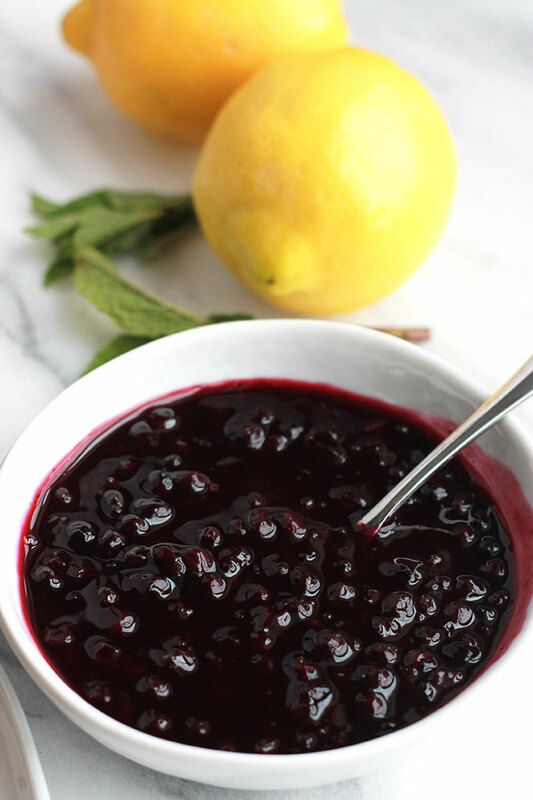 I made a delicious fruit sauce, using frozen wild blueberries I purchased from Trader Joe’s, but feel free to use your favorite fruit. 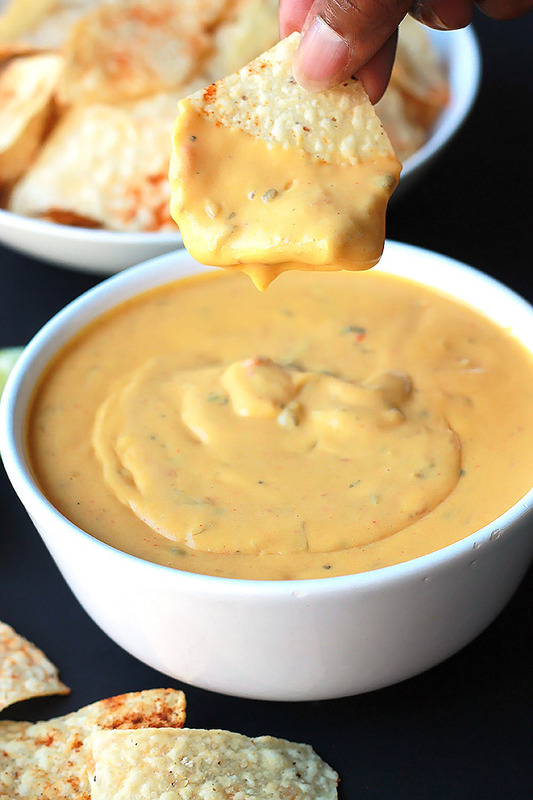 So wonderful, this sauce comes together in minutes. 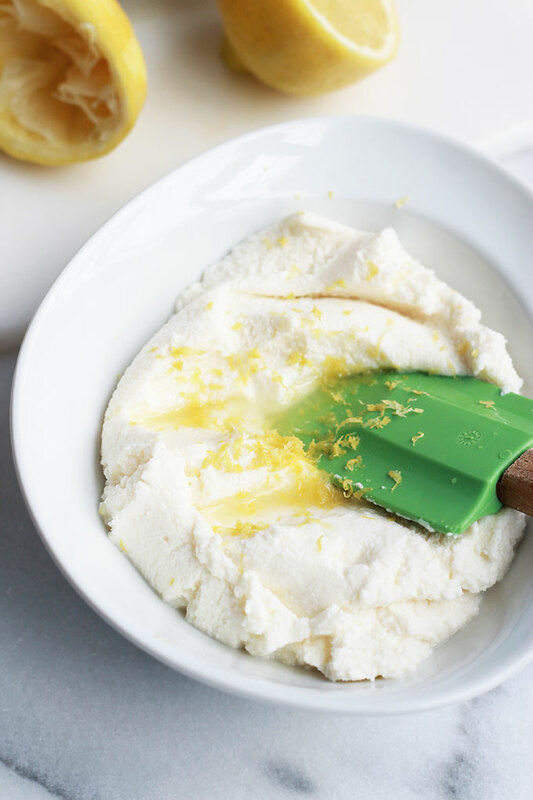 While the sauce is cooking, simply mix some ricotta with lemon juice, zest and some agave or maple syrup if you like. Now the good part, spread and enjoy! 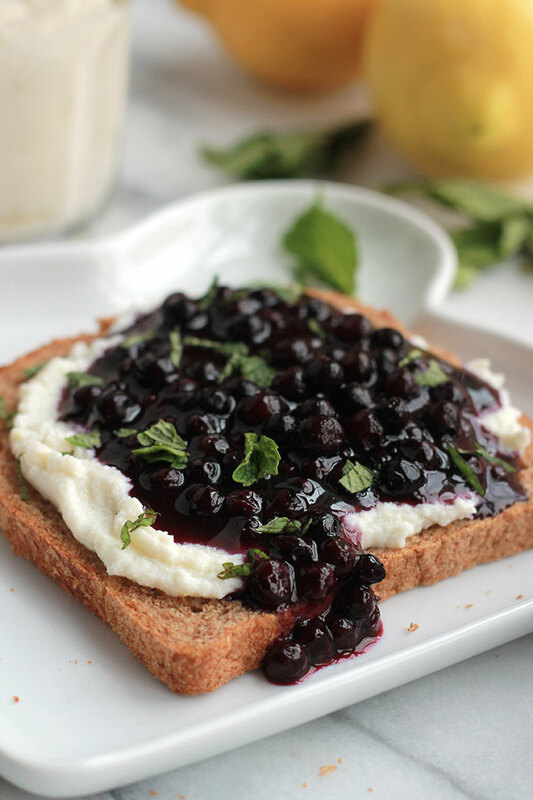 This Lemon Ricotta Toast with Wild Blueberry Sauce is a delicious toast upgrade, don’t you think? For an extra layer of goodness add some sliced strawberries. Place blueberries and water in a small saucepan over medium-high heat. 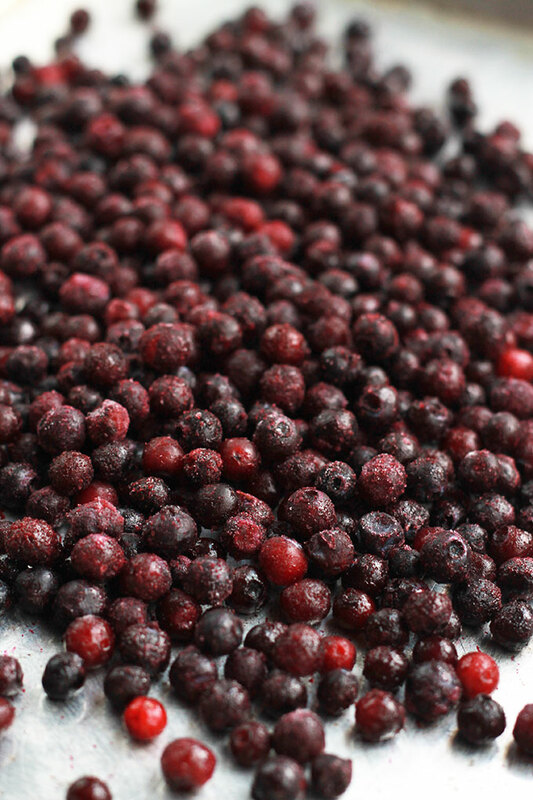 When berries start to boil, stir in agave or maple syrup and reduce to a simmer. Mix cornstarch with the water until cornstarch is completely dissolved. Stir mixture into berries, continue to simmer an additional 2 to 3 minutes or until desired consistency is reached. Transfer to serving or storage container, cover and set aside. 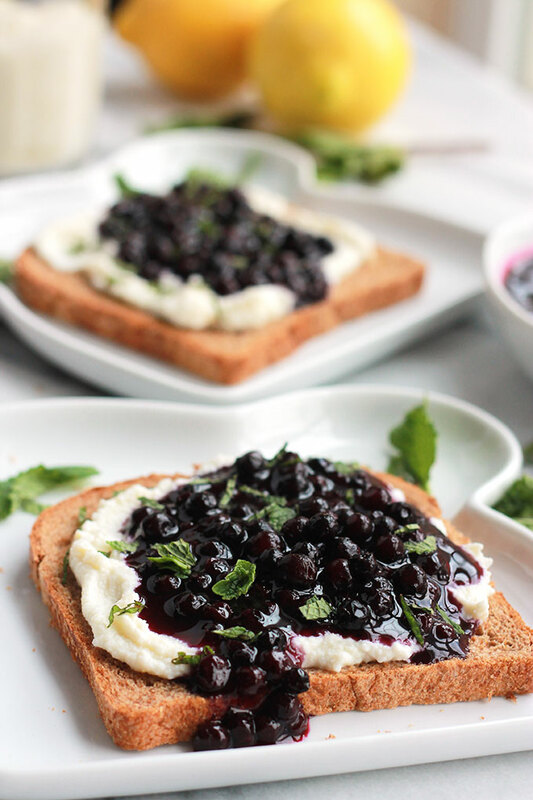 While berries are simmering, mix together Ricotta cheese, lemon juice, zest, and agave or syrup if using. 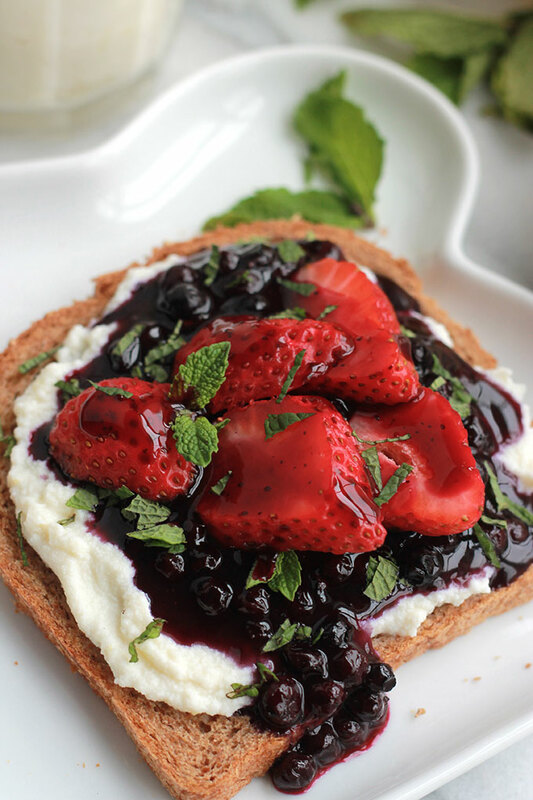 Spread toast with Ricotta, top with berries and garnish with mint. 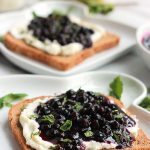 If you make this Lemon Ricotta Toast with Wild Blueberry Sauce recipe tag @thewholeserving on Instagram and hashtag it #thewholeserving, I want to see your creation. This website is for informational and entertainment purposes only. I am not a trained medical professional or nutritionist. I'm only sharing what has worked for me. Always check with a healthcare professional before making any changes to your diet or exercise program. 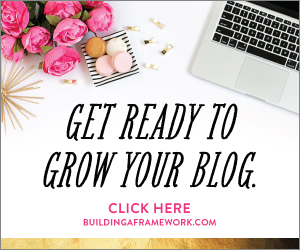 This site contains affiliate links. If you purchase through one of the links, The Whole Serving receives a small percentage of the sale. Thank you for your support!